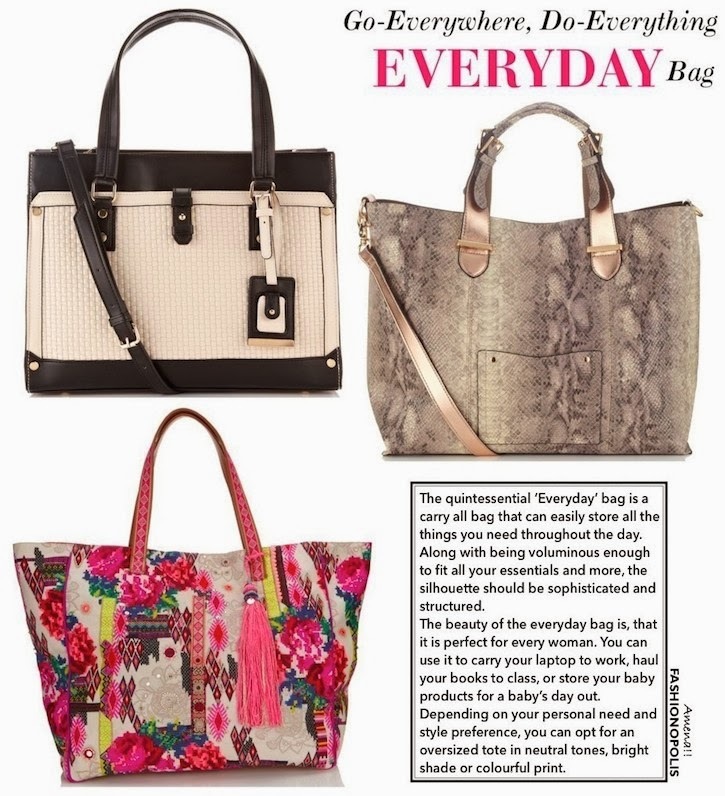 With Women’s Day a little over 2 weeks away, what better way to celebrate it than honour every woman’s loyal companion-The Bag. 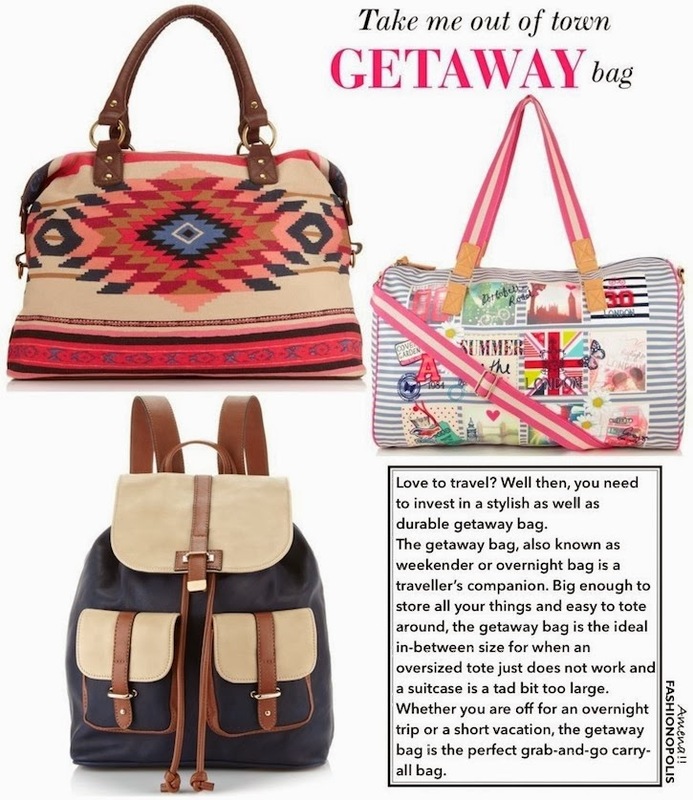 Whether it is an oversized tote or canvas shopper or coin purse, no woman every leaves the house without a bag. 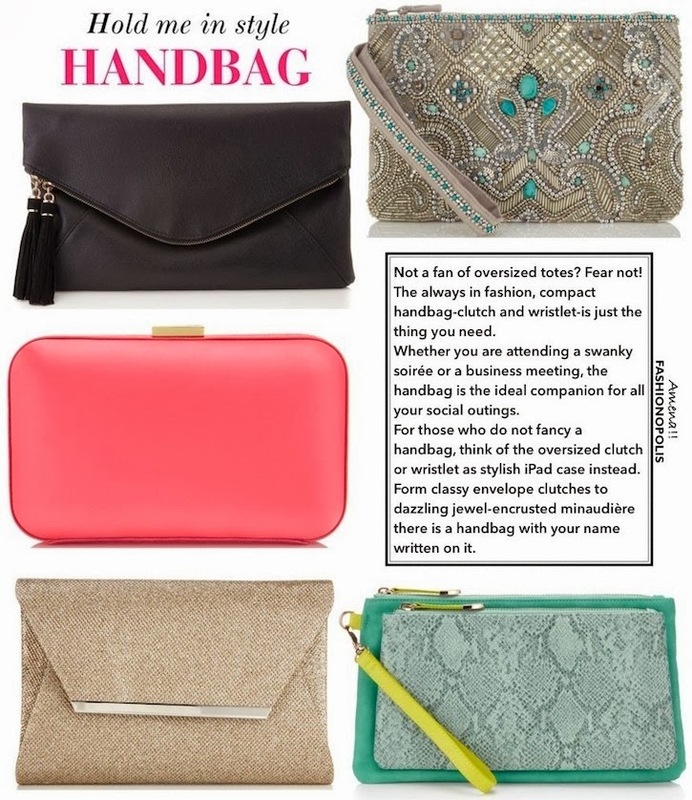 An integral part of a woman’s fashion arsenal, the bag is not just an accessory; it is a necessity. Wondering which bag/s is ‘your’ bag? Which bags you should invest in? If you Google ‘Must Have Bags’, the world wide web will throw multiple articles enumerating the ‘must have bags every woman should own’ your way. While this is helpful, it is not necessarily the right list for you. 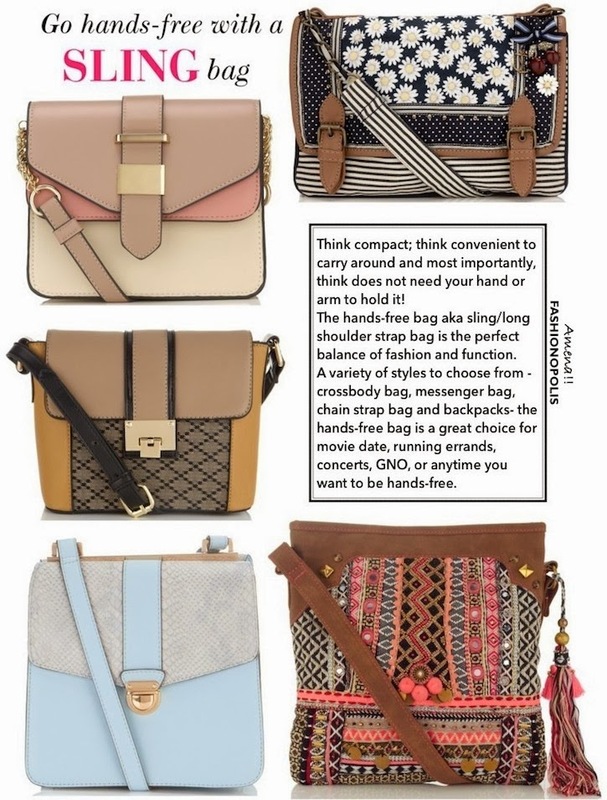 The main reason why I decided to create this post, is to help women decide what type of bags are best suited for their individual needs. 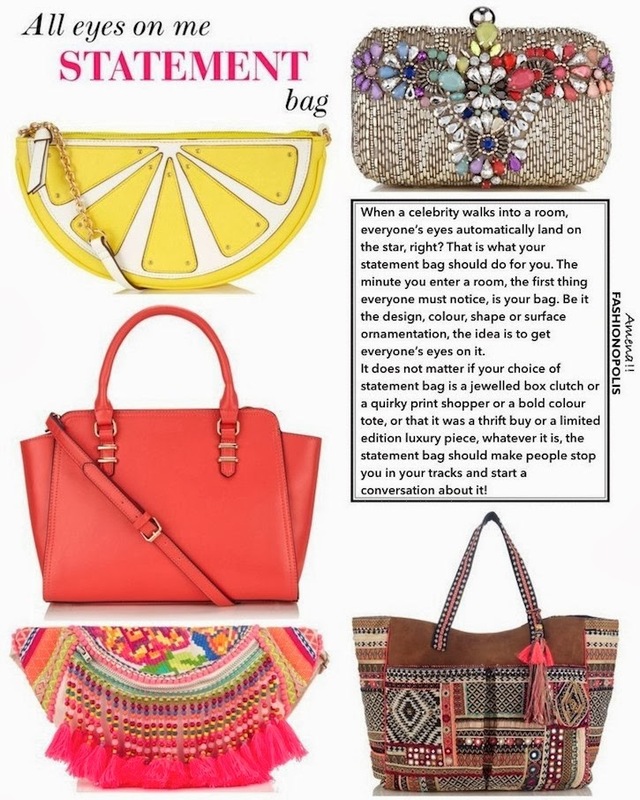 Instead of just stating the different kinds of bags a woman must own, this post highlight the USP and function of each type of bag and how each and every one of these bags are an added bonus to a woman’s wardrobe and life. Featuring bags from one of my all time fave accessory brand, Accessorize's latest collection, here is Fashionopolis’ list of 5 must have bags every woman should own. 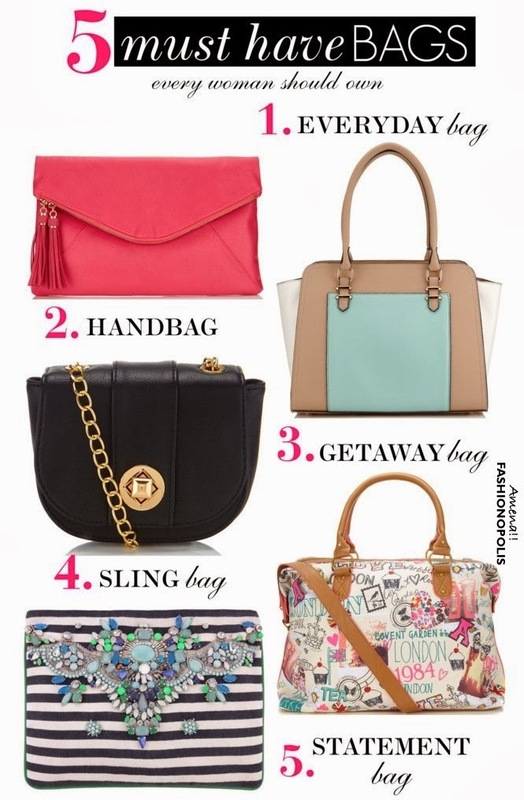 Now that you know the different types of bags, which are your 5 must have bags? Share your views with me in the comment section.